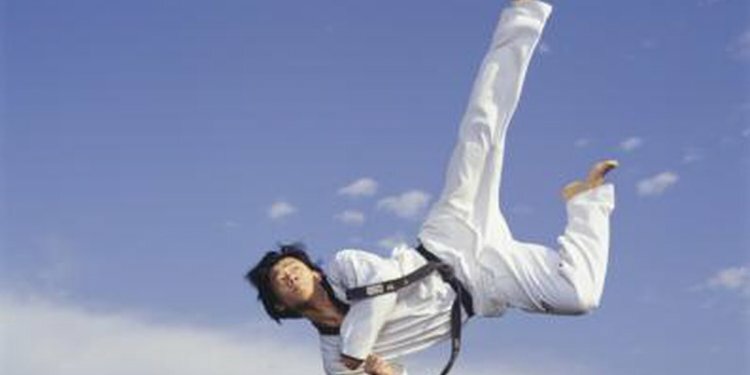 In modern society, martial arts are used mostly for self-defense, sports and entertainment, but many styles of martial arts have deadly roots. Any fighting style can be deadly if the practitioner chooses to use it in a lethal fashion, but some focus almost exclusively on inflicting as much harm on your opponent as possible. Some were developed specifically for killing, not merely self-defense. Krav Maga is the martial art used by the Israeli Defense Forces and it has also been taught to countless law enforcement officers in the U.S. Krav Maga strives to be the most realistic and effective fighting style. It's an abstract style that teaches its students to rely on their instincts. The basic objective of Krav Maga is simple: do whatever it takes. "Whatever it takes" might be running away in some situations. In others, it might be gouging your opponent's eyes or snapping their neck. The ancient ninjas of feudal Japan were assassins and Ninjutsu was the fighting style they practiced. Ninjutsu is another anything-goes type martial art. Ninjas are trained in hand-to-hand combat, as well as many weapons. Ninjas were often hired as spies to perform simple, covert missions. If a ninja was seen and confronted on one of these missions, they couldn't afford to be captured, which meant they had no time to mess around, so they were trained to go straight for the kill. Muay Thai is the national pastime in Thailand. It's a vicious form a kickboxing that uses fists, shins, knees and elbows, which is why it is called "the art of eight limbs." Muay Thai fighters harden the bones of their limbs by striking them repeatedly against banana trees. They use their sharp elbows to deliver devastating blows to an opponent's head. Traditional Muay Thai also incorporates weapons and was original developed for the Thai army, but today it is the most popular sport in Thailand, and by many, it is also considered the most brutal in the whole world. Silat is another martial art from Southeast Asia that doesn't mess around. Silat comes in many styles, but they are all deadly in their own right. Silat was not developed to beat up your opponent or defend yourself in a bad predicament - it was developed to injure and kill people in combat. Blows to the head, neck and spine are all fair game in Silat, and weapons training is included in most styles.